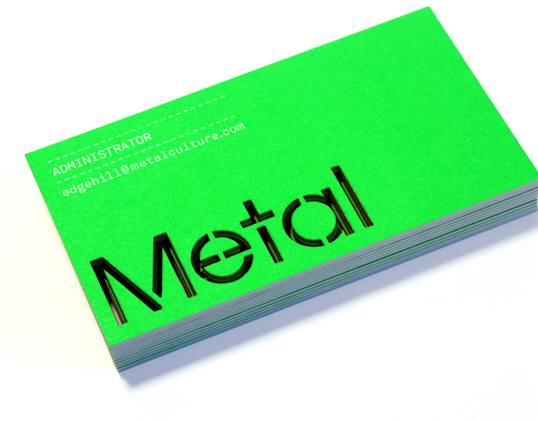 “Metal are an exciting arts organisation with big ambitions, but they had an outdated brand that lacked direction and clarity, and needed a new and innovate identity to help them unite diverse teams and projects happening all over the country. 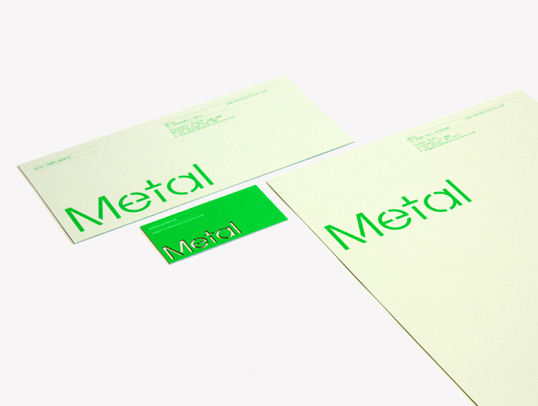 Metal was founded in 2002 and since then have come a very long way. 2009 was a very significant year for Metal, with the launch of two new art spaces – the Grade II listed Chalkwell Hall in Southend and Edge Hill Station in Liverpool, the oldest surviving passenger railway station in the world. 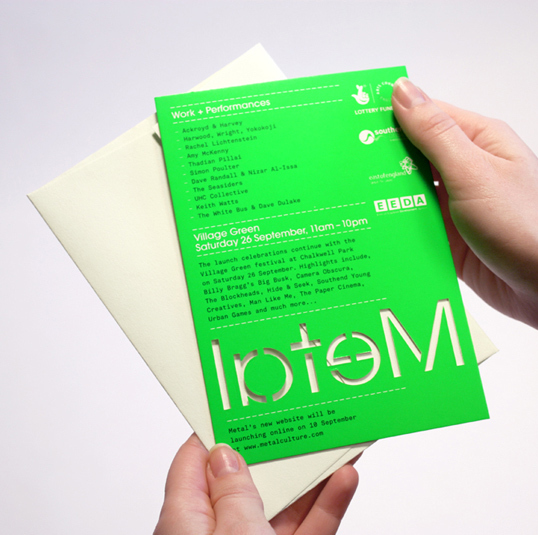 The two launch events provided the perfect opportunity to showcase a new and coherent brand.